Mention one of these words, and it illicits many views. Mention both of these, and I am sure that today will be an above average day according to site stats! A study in the American Journal of Hypertension (doesn’t sound like much of a bathtub read, does it?) answers a much asked question, “How much chocolate does one need in order to reap its benefits?” The study conducted determined that one square of dark chocolate had just as much effect on a drop in blood pressure as did four squares. So save yourself those extra calories and savor that one piece of Dove! 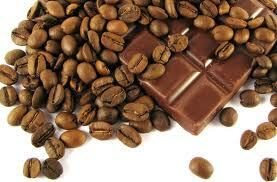 And what goes better with chocolate than coffee?! In The Journal of Physical Chemistry B (even worse than the hypertension journal I would think! ), research shows that the caffeine in a daily cup (or two) of coffee provides enough antioxidants to help reduce your risk of heart disease and Alzheimer’s. So drink up and enjoy happily!